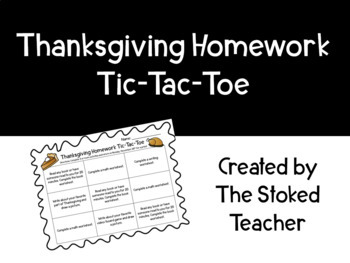 This is a Thanksgiving homework tic-tac-toe in 3 different levels. I will be sending this home with my students for our week long Thanksgiving break. They can pick 3 or more activities to complete. This is a low prep product! Just print, add your own math and name tracing pages, and you're good to go!